Charles Bruce farms near Banff, Aberdeenshire and highlights how important customer relationship is. The on-farm butchery at Bogside is an important piece of our farming jigsaw and has been a continual learning process, as we have gone through the different phases of development over the last 10 years. At the start, we kept things simple, butchering carcases in a local butchers shop in the traditional fashion and had all the traditional cuts, such as brisket and roasting joints. We decided early on we were only going to have one grade of lean trim steak mince, the rest of the trims being made into sausages and burgers of a better quality. This has proven to be a good decision. We originally sold the carcase in £60 packs which were sold to friends, relatives and neighbours. The major benefit of this was there was very little, if anything, left over. The butcher we were using decided, through ill health, to retire. 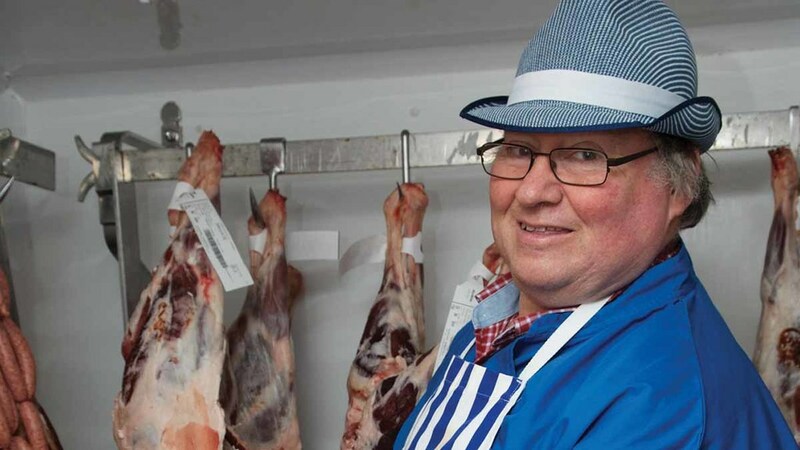 It was then we decided to set up our own on-farm butchery, which meant we would be in total control of the operation. We set up an on-farm shop and were invited to attend the newly formed farmers’ markets in Banff and Huntly, but the markets in our area have gone through a fairly sticky period in the last three years, as the downturn in the oil industry bit hard on spending power. The relationship you build up with customers at markets is vitally important, as is the uniformity and quality of your product. You cannot expect loyalty if you try to sell them inferior produce. During the Highland Cattle international congress, Glasgow, I had some interesting conversations with American breeders; one man whose business was near Steam Boat Springs, one of the skiing centres near Denver, and he had a 300-cow fold of Highlands. His butchering job was fairly simple, as they removed the sirloin, fillet and rib-eye, and the remaining carcase was turned into ground meat to supply the hungry skiers with their burgers. His approach to wintering his cows was also quite novel, with cattle being loaded onto trailers and driven to a ranch in New Mexico, which he owned, to spend winter grazing at a rate of one cow to 8 hectares (20 acres) and about 247 cacti/ha (100 cacti/acre). There are mumblings at the moment concerning grading and price structure of beef. If there are to be changes, I think it would only be fair to pay a premium for eating quality, as well as the shape of the carcase, similar to Australian and American models. If we are to encourage people to come back week after week to pay for beef, it is only fair the consumer can get a reasonable guarantee that what they have bought is going to be a pleasurable eating experience.